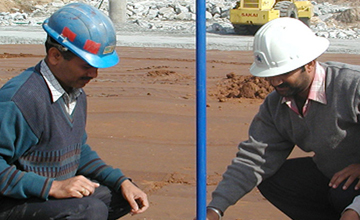 Jaipur Kishangarh NH-8 Expressway Road Project - Rite Geosystems is a global instrumentation and monitoring solution provider, offering turnkey solutions in geotechnical, structural, environmental monitoring and geodetic surveying. A unit of the renowned Encardio-rite Group, Rite Geosystems leads the group’s operations across the world in USA, Europe, and Asia. Client: SPV-GVK Jaipur Kishangarh Expressway Ltd.
Encardio-rite was responsible for instrumentation of the 542.4 lane km, six lane Jaipur Kishangarh Project for the improvement of the ground. An expressway between Jaipur and Kishangarh on National Highway 8 (NH-8) was constructed through SPV – GVK Jaipur-Kishangarh Expressway Ltd. 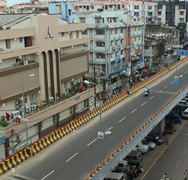 The project included the construction of a 90.4 KM six lane highway with flyovers with interchanges at major junctions. The instrumentation was done by L & T ECC. 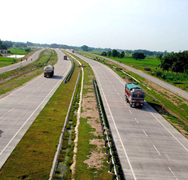 The GVK Jaipur-Kishangarh Expressway project is India’s first largest six lane BOT road project implemented by NHAI in India and built at a cost of 7.29 billion INR. 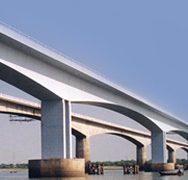 The consultants for this project were French engineering consultants. 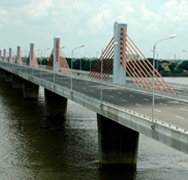 The construction work was completed nearly six months ahead of schedule and it has been operational since April 2005. The instruments supplied included piezometers, inclinometers and settlement monitoring.